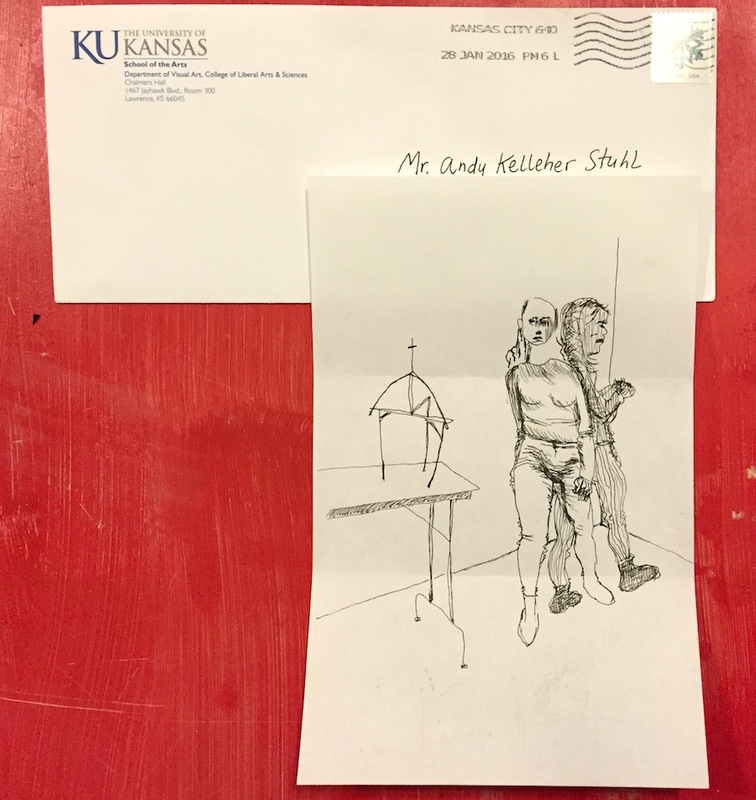 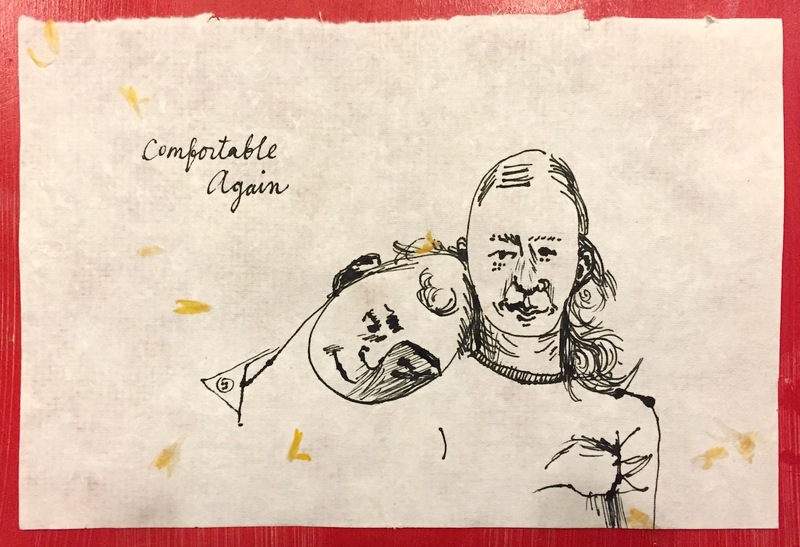 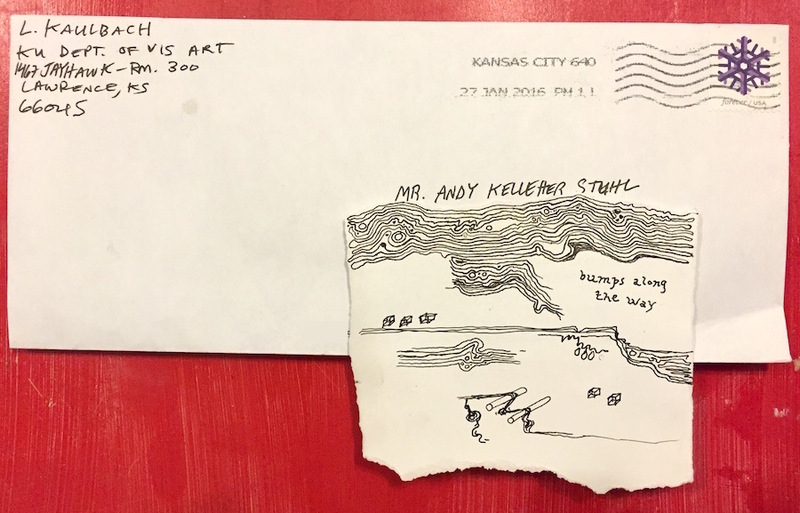 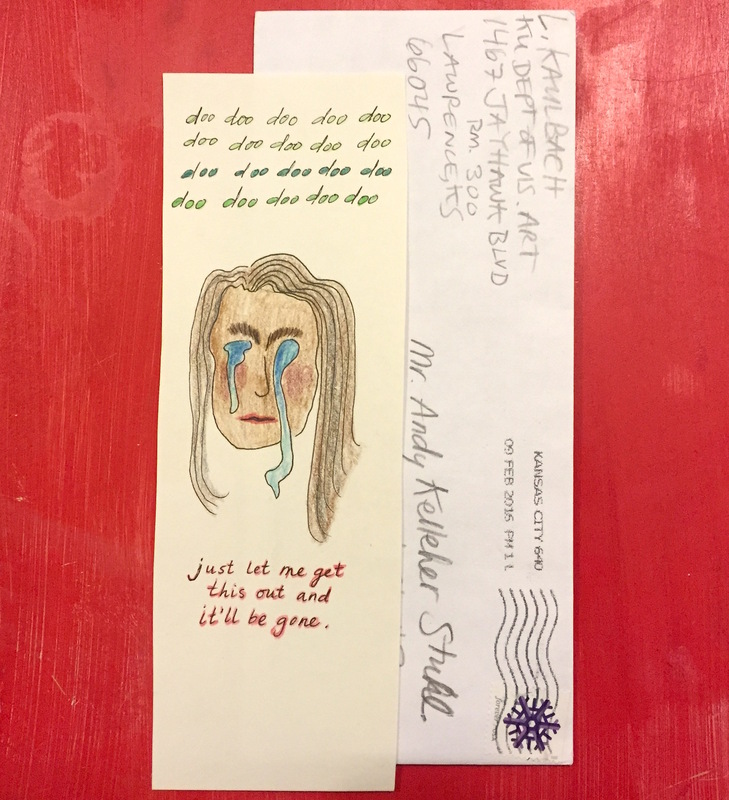 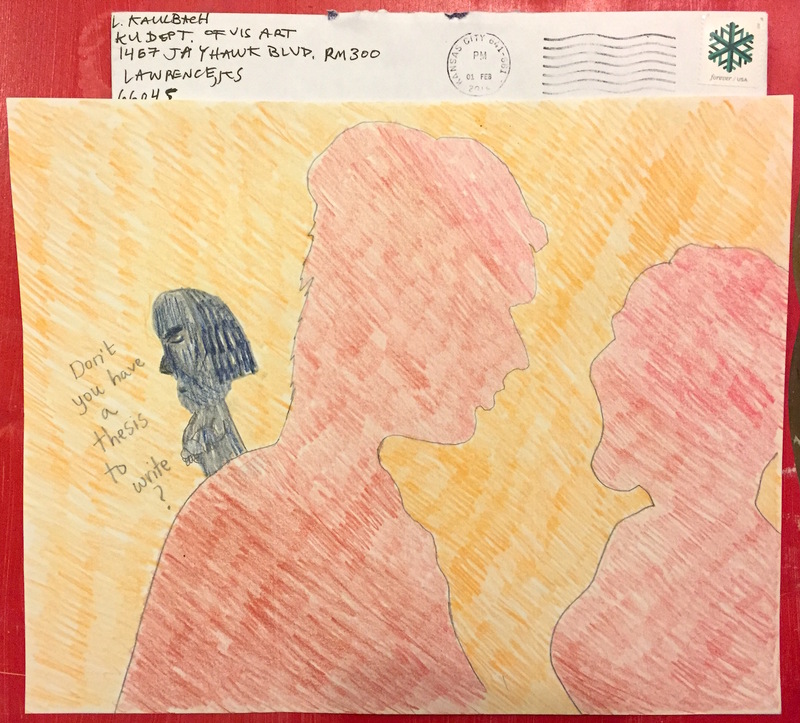 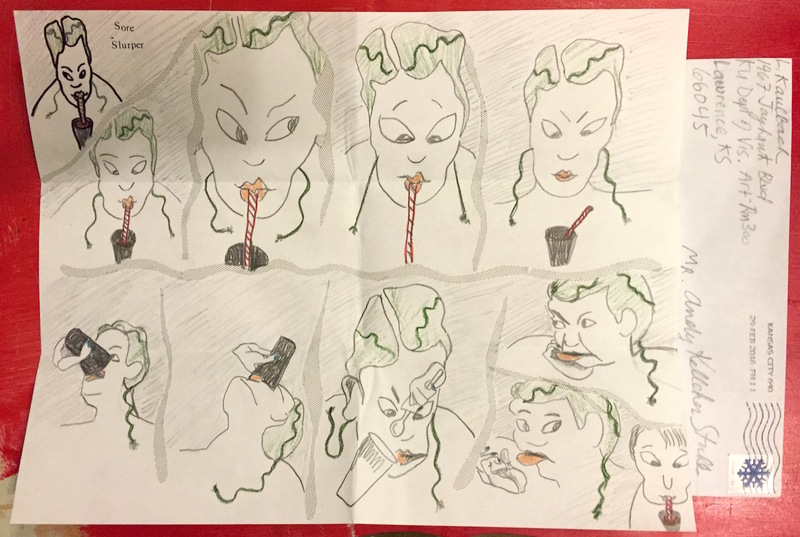 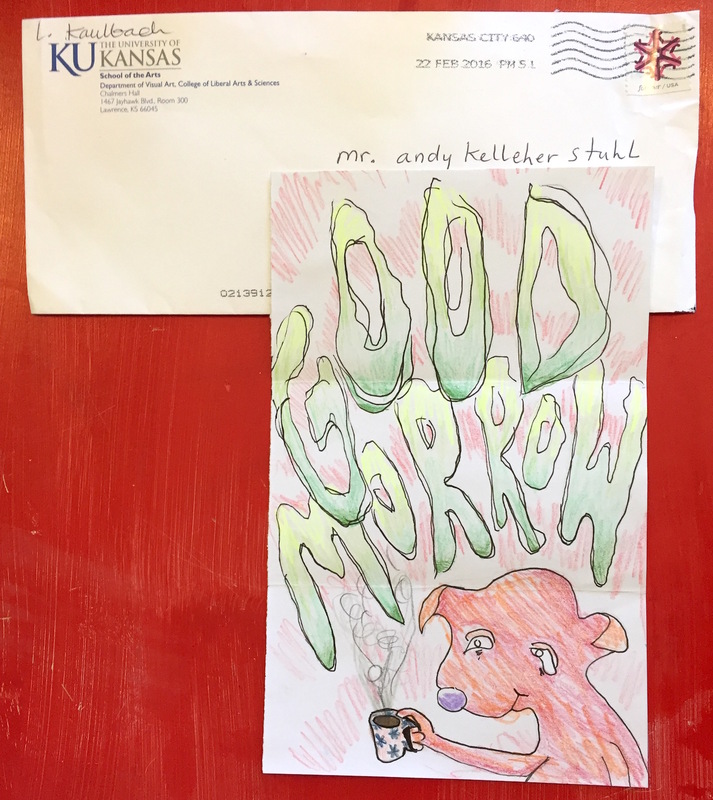 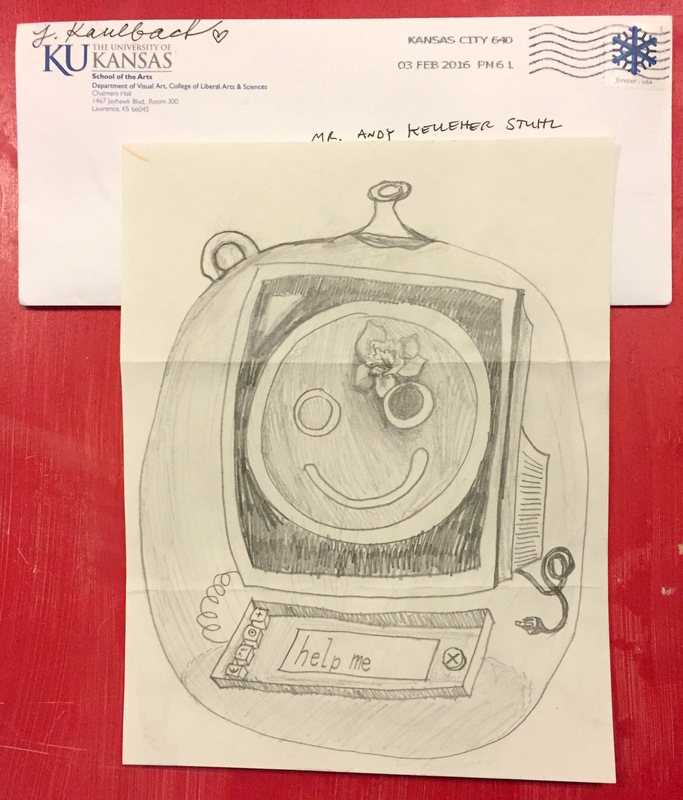 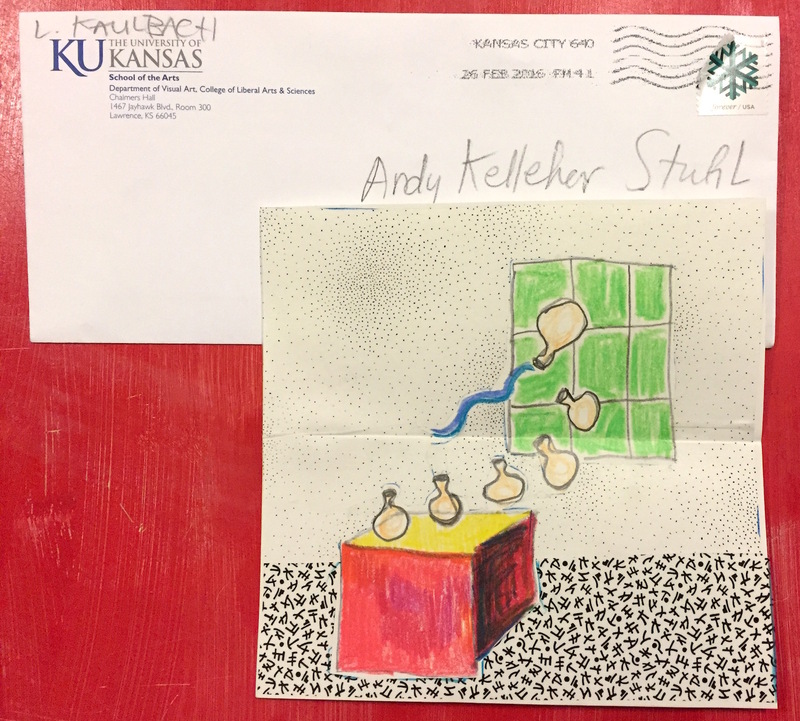 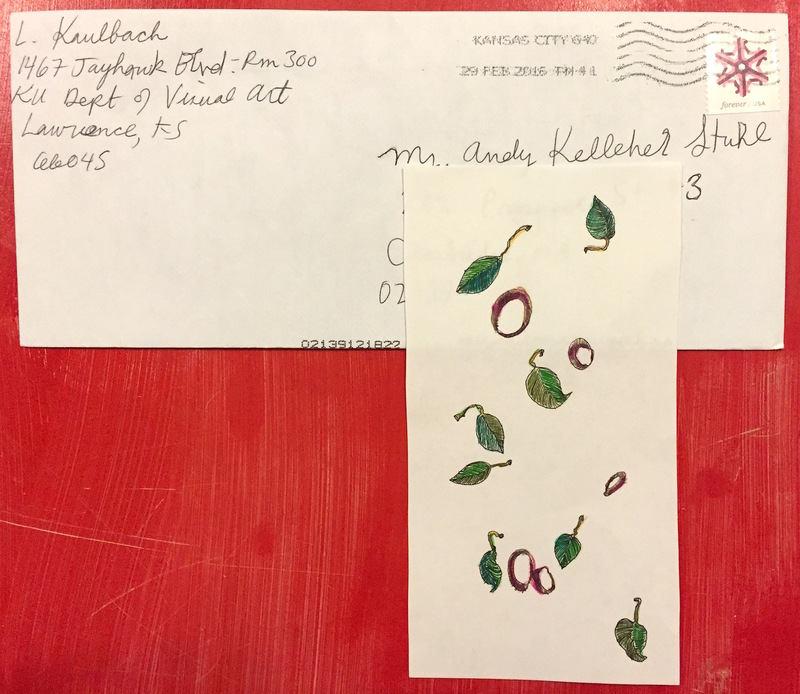 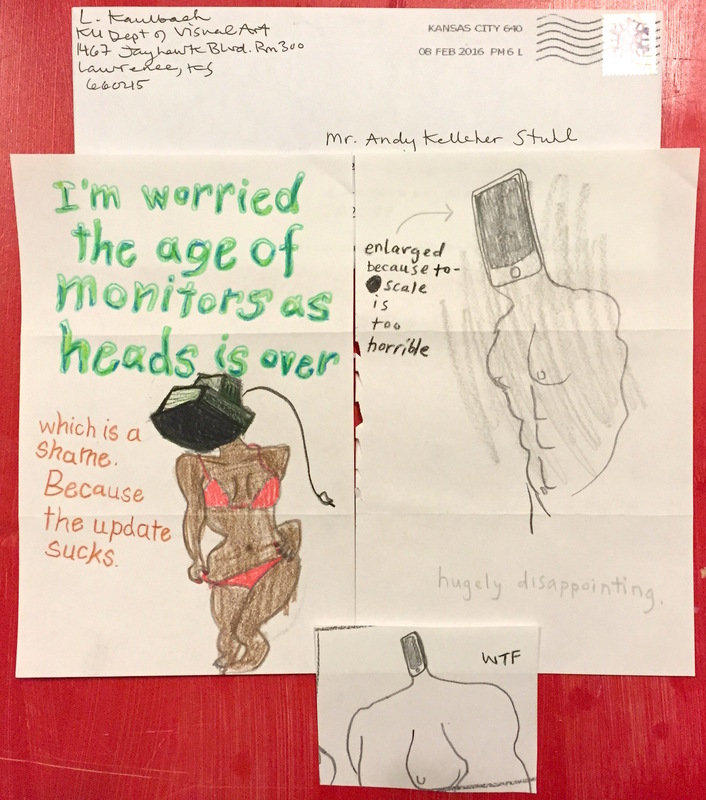 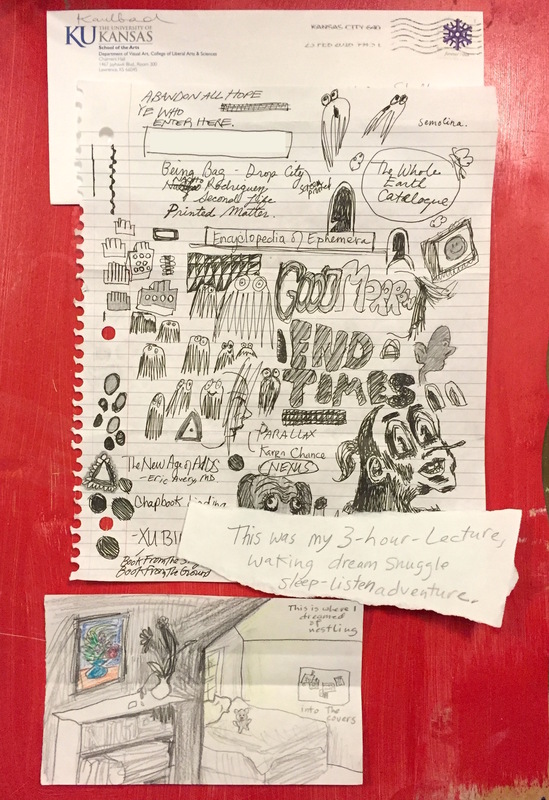 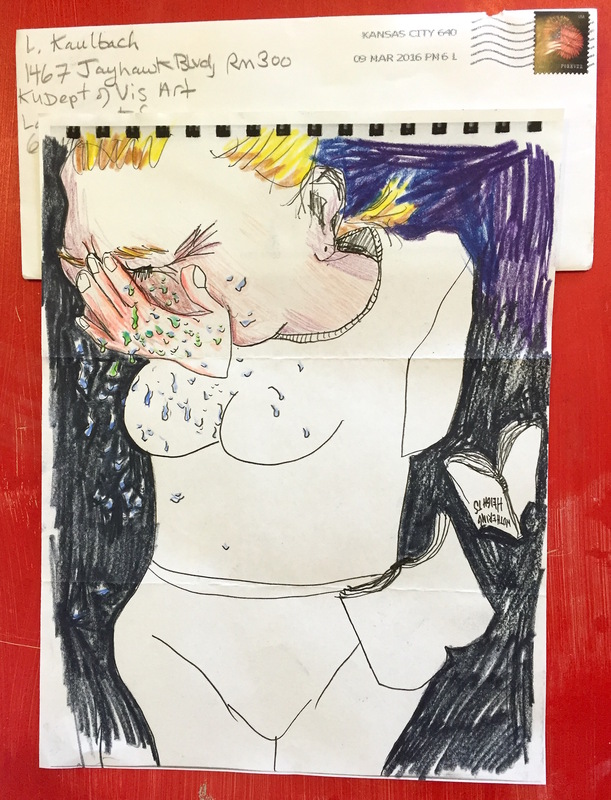 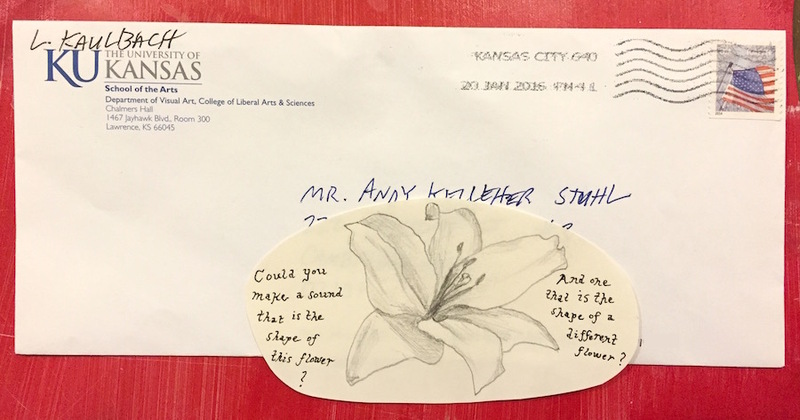 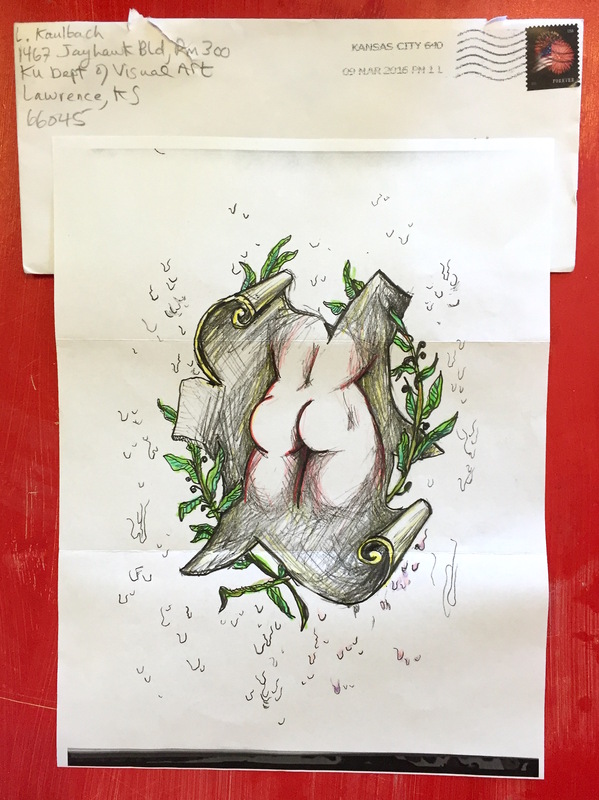 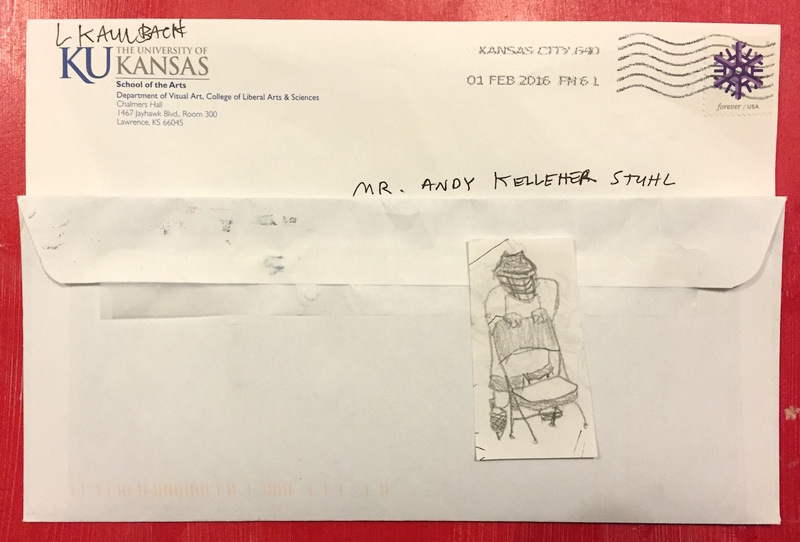 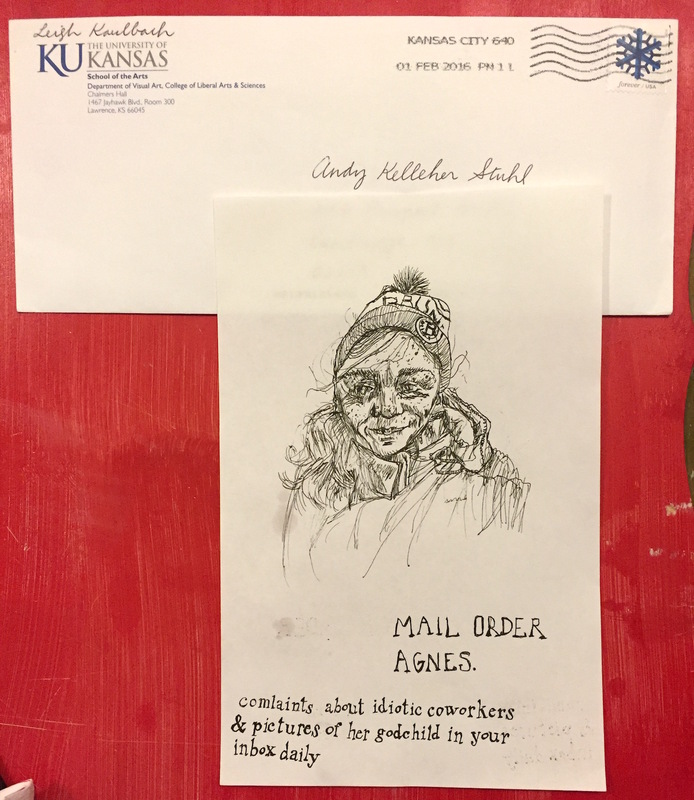 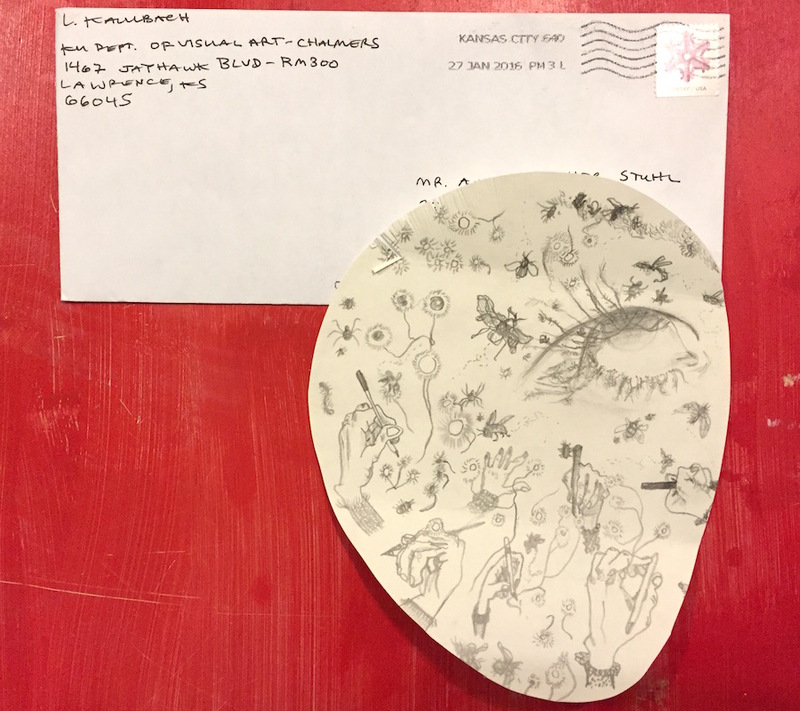 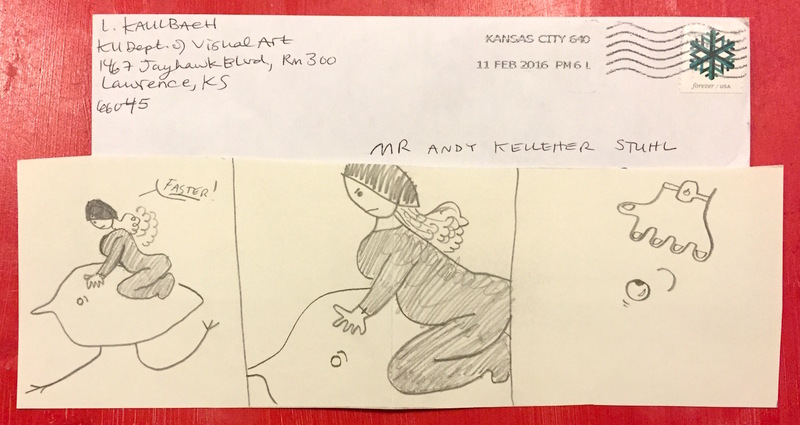 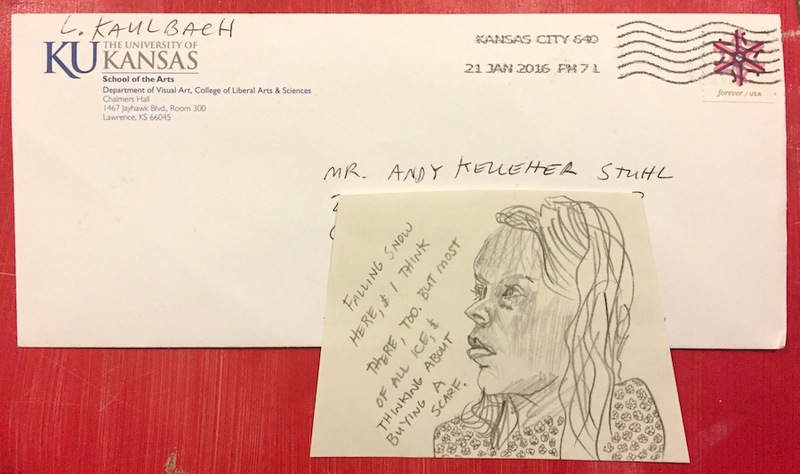 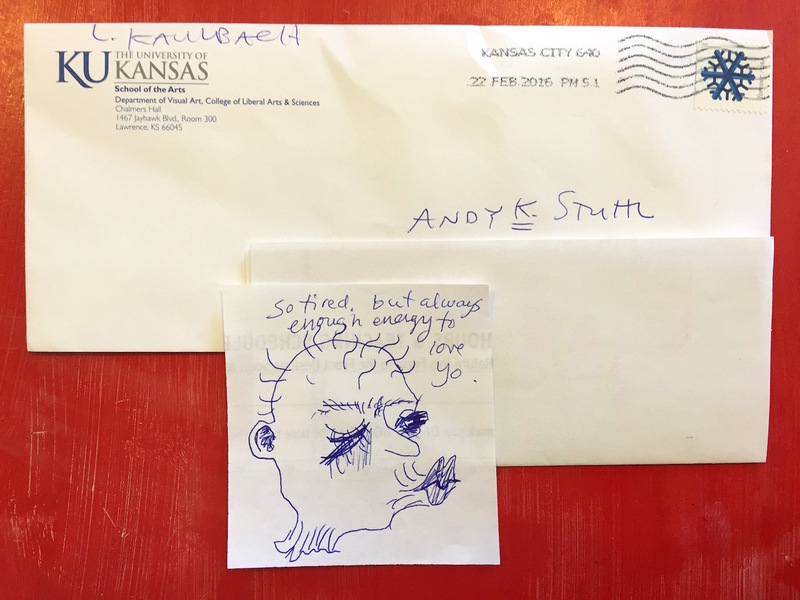 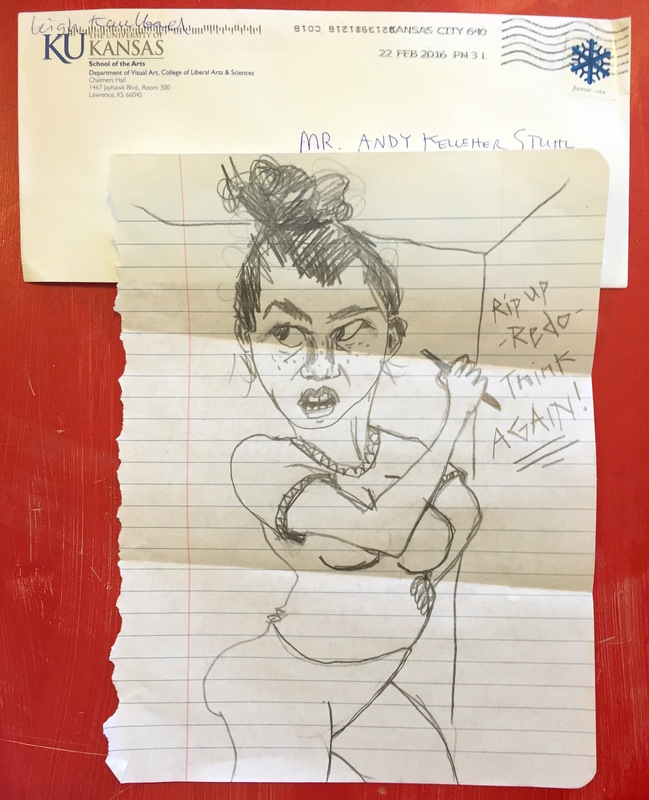 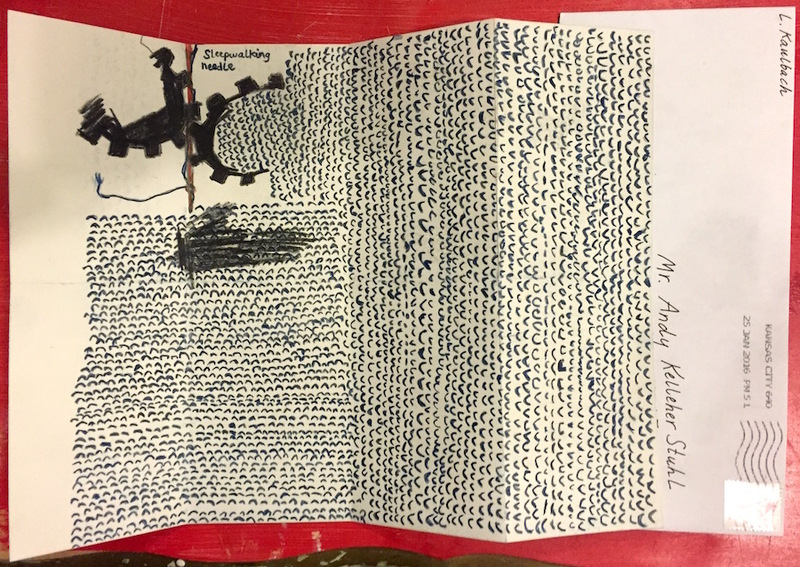 Mixed Messages is a 40-day correspondence between Leigh Kaulbach and Andy Kelleher Stuhl. 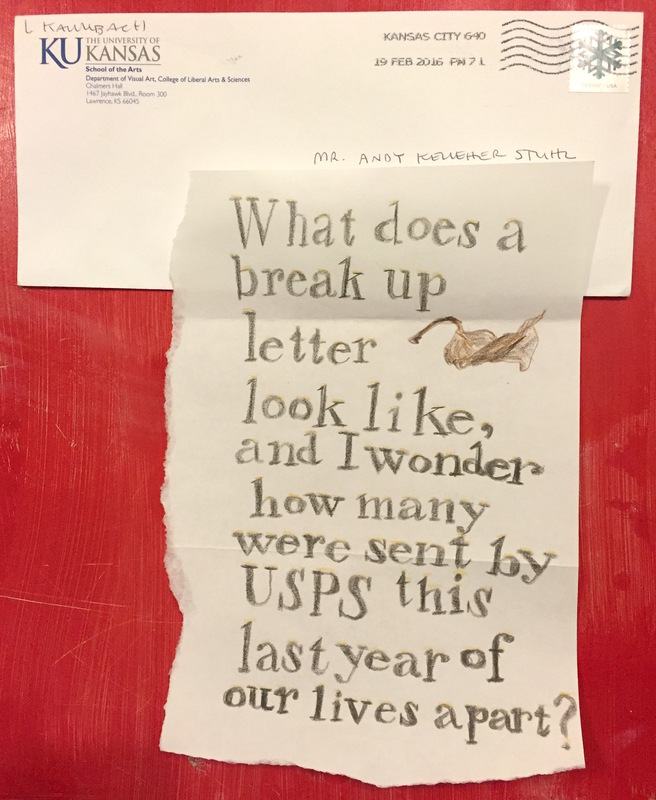 Each partner produces and sends one item per day. 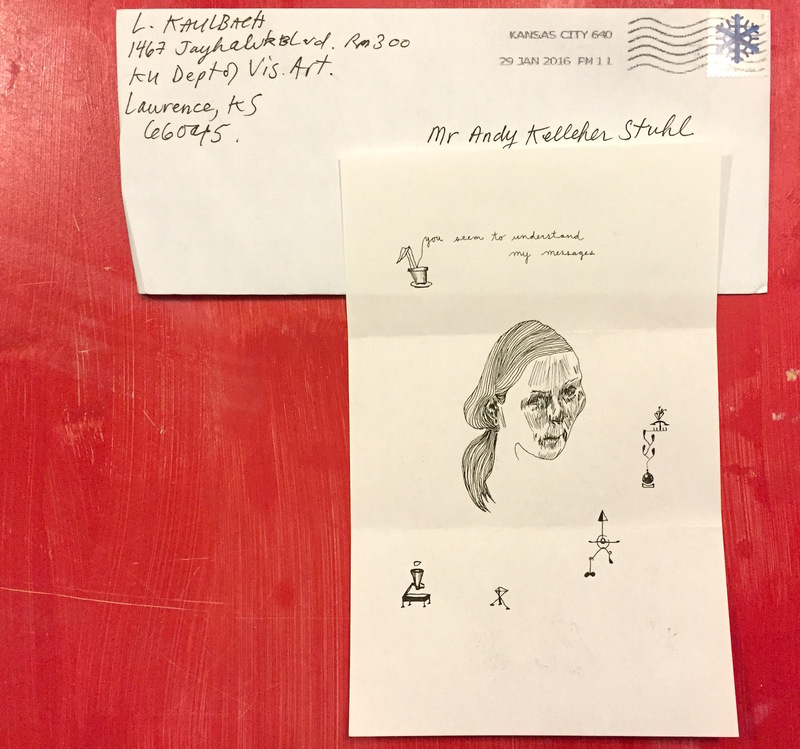 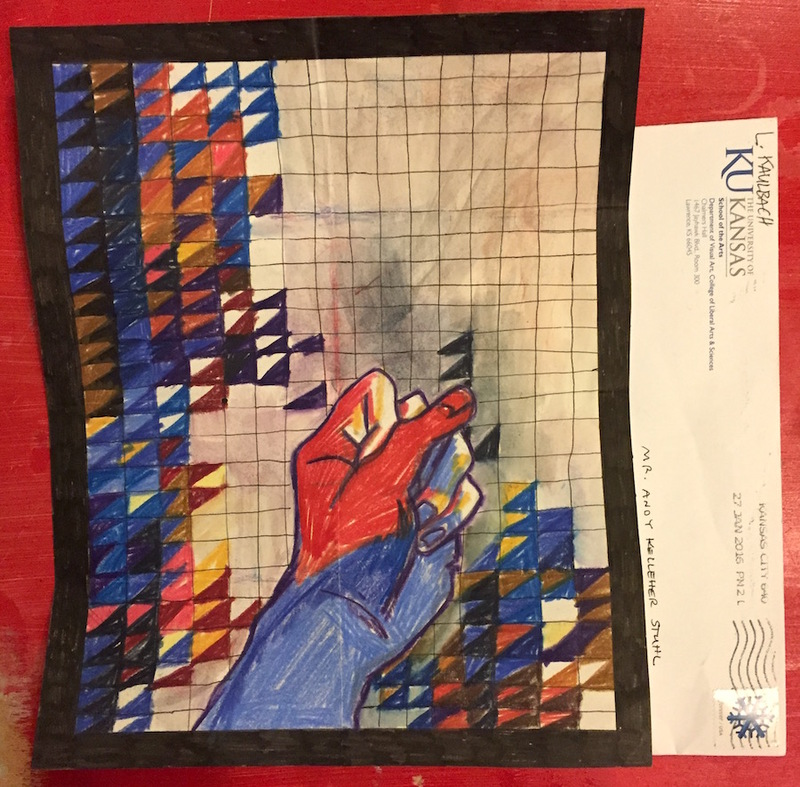 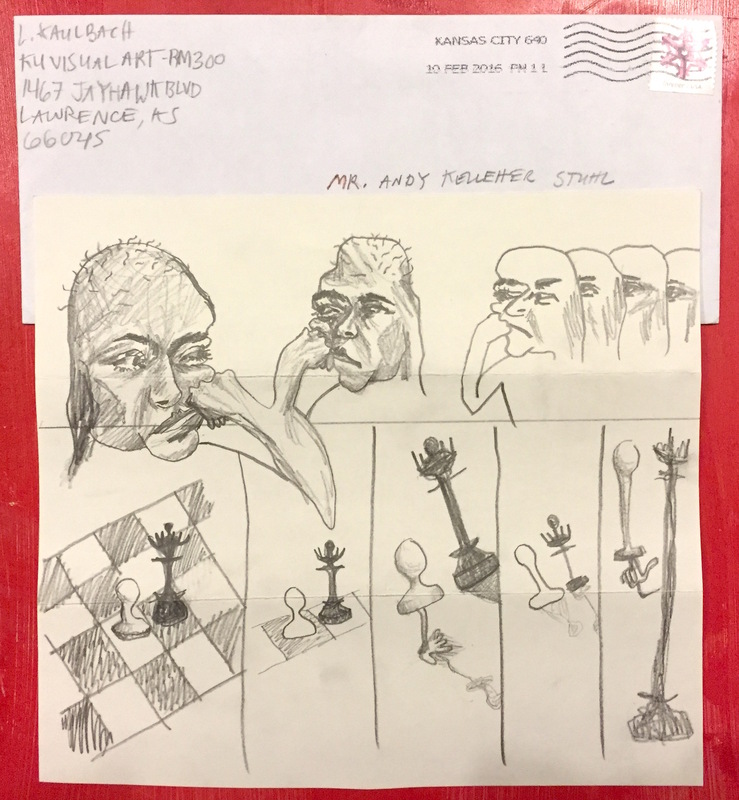 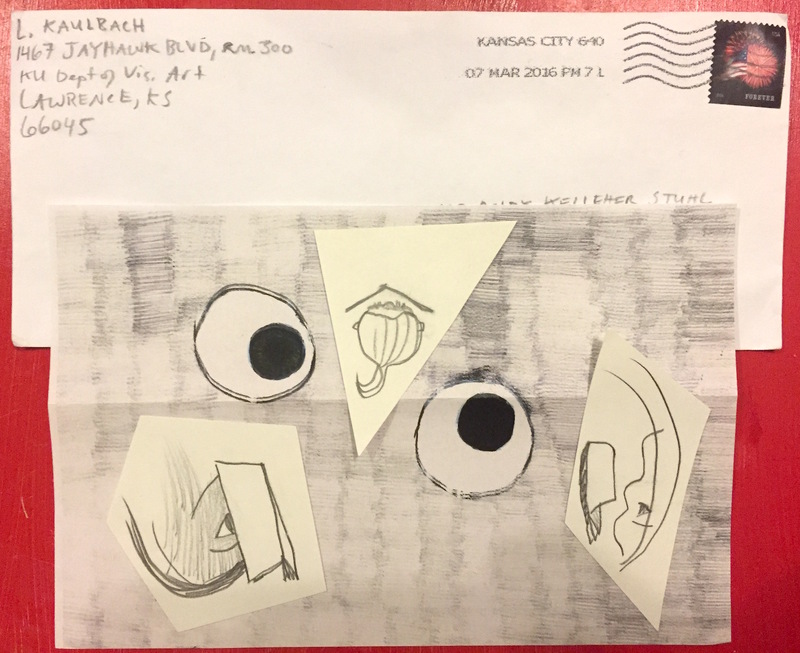 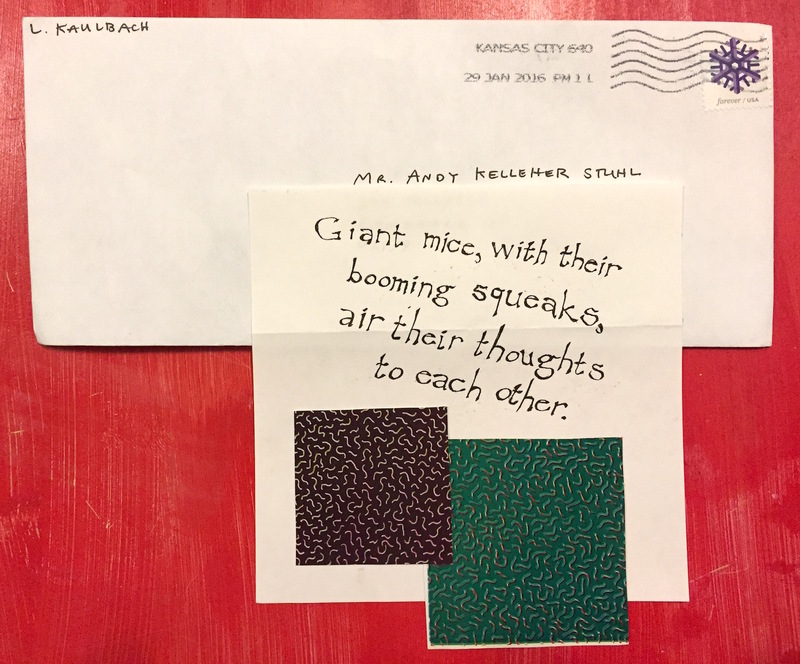 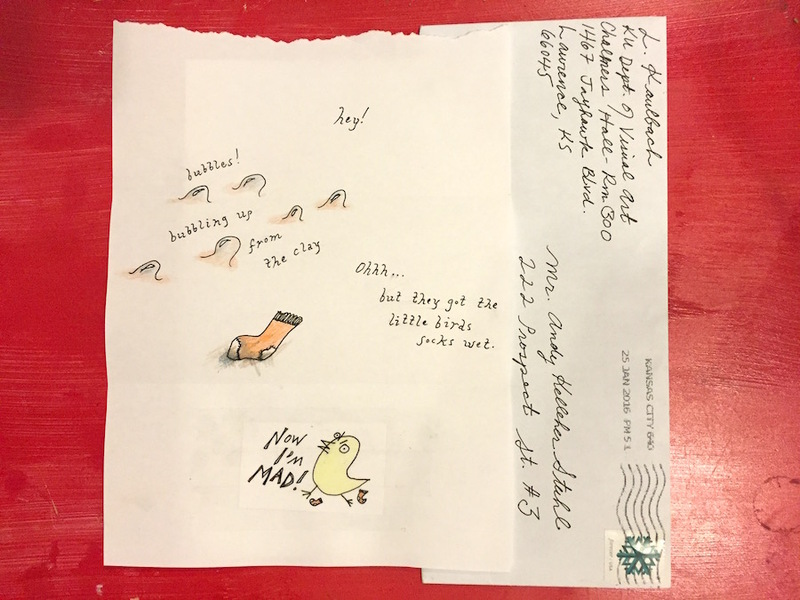 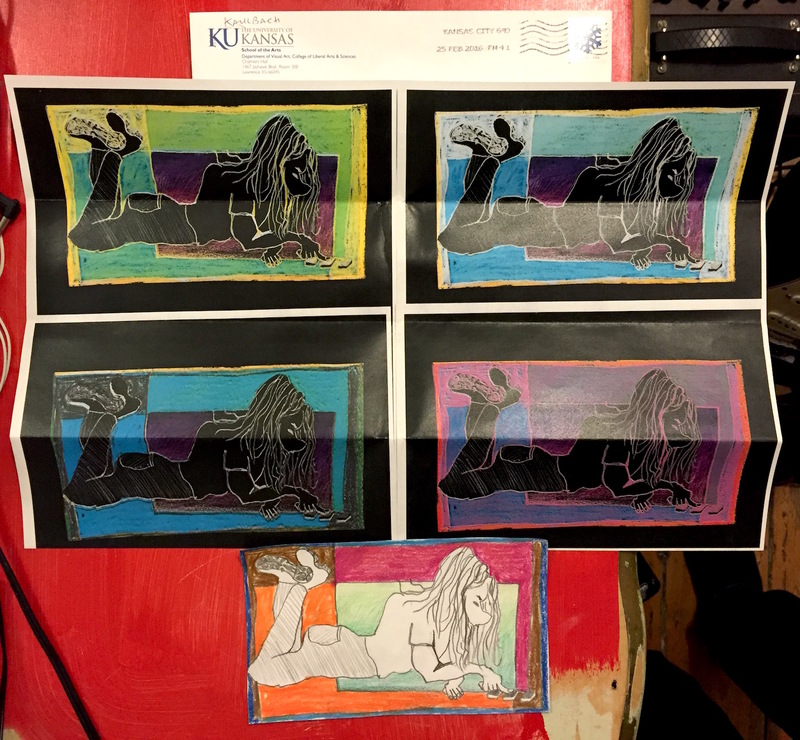 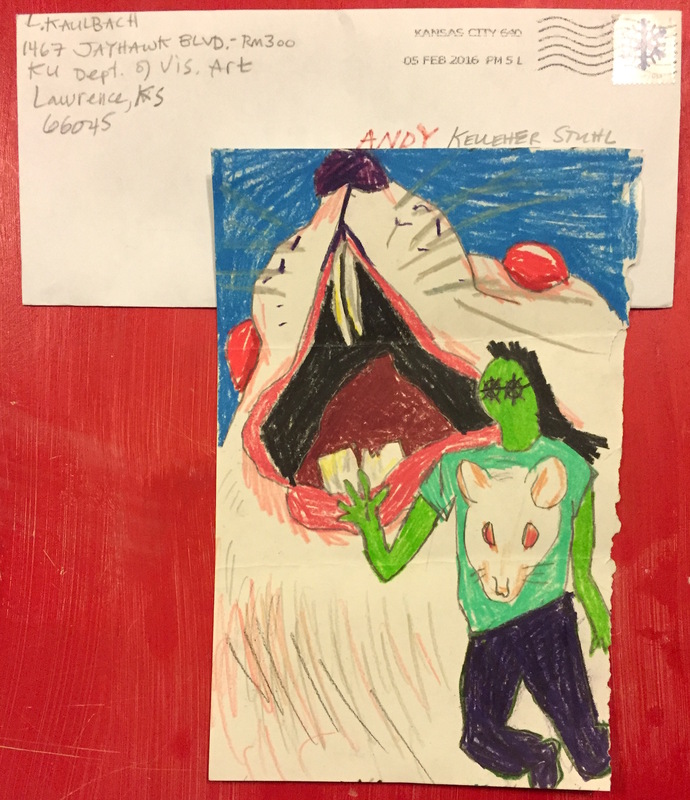 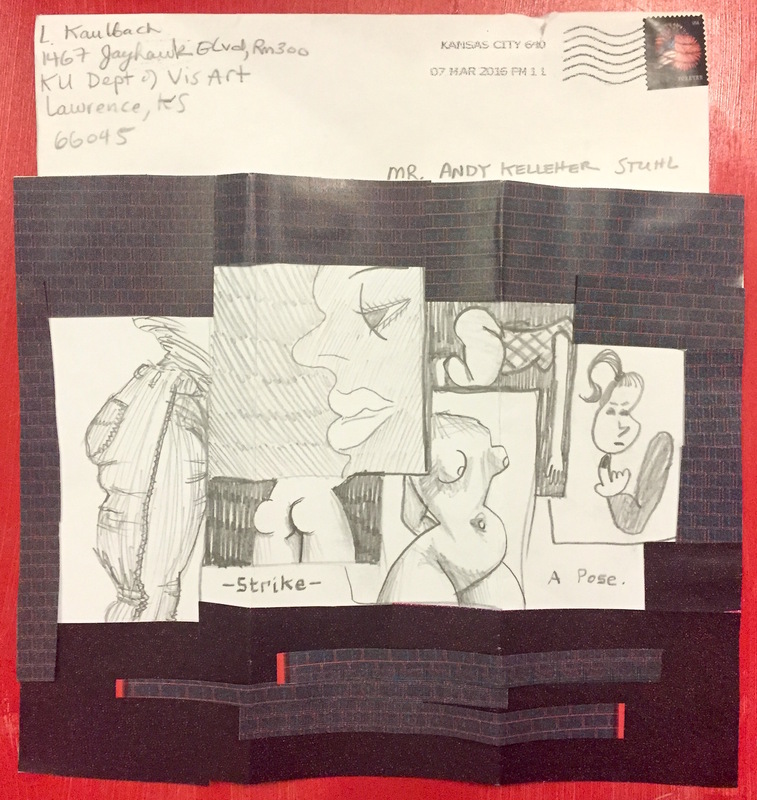 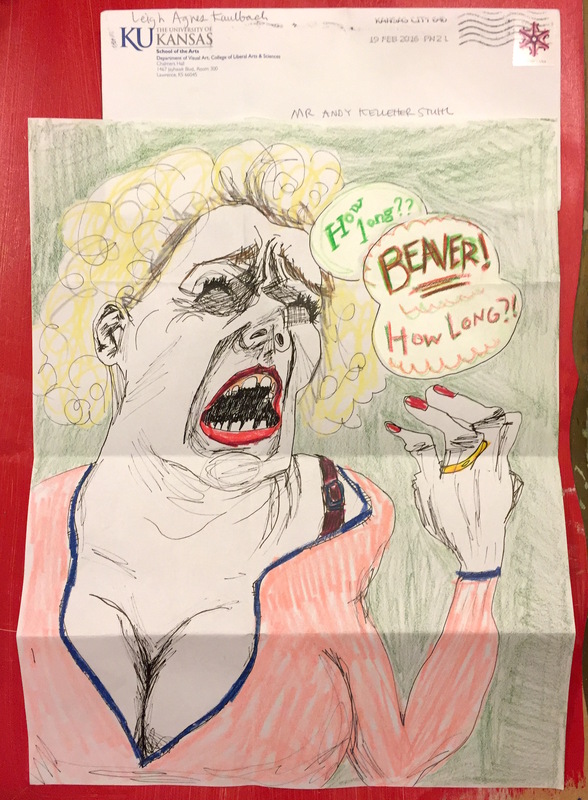 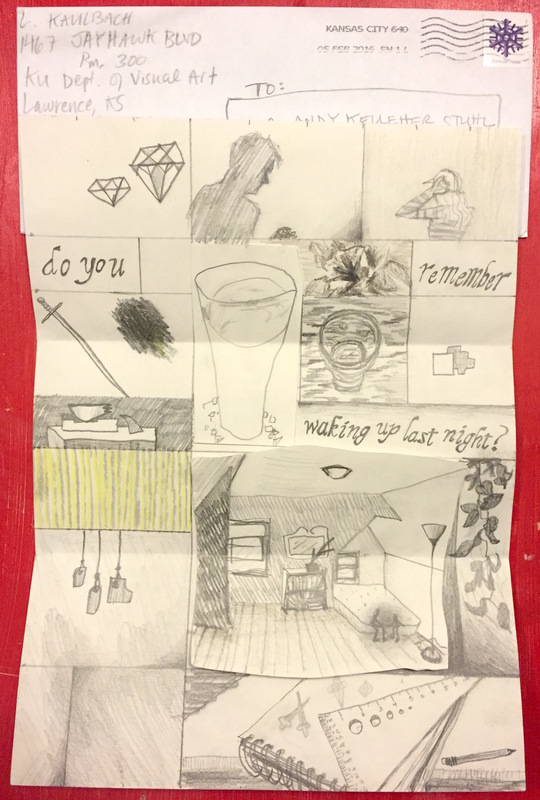 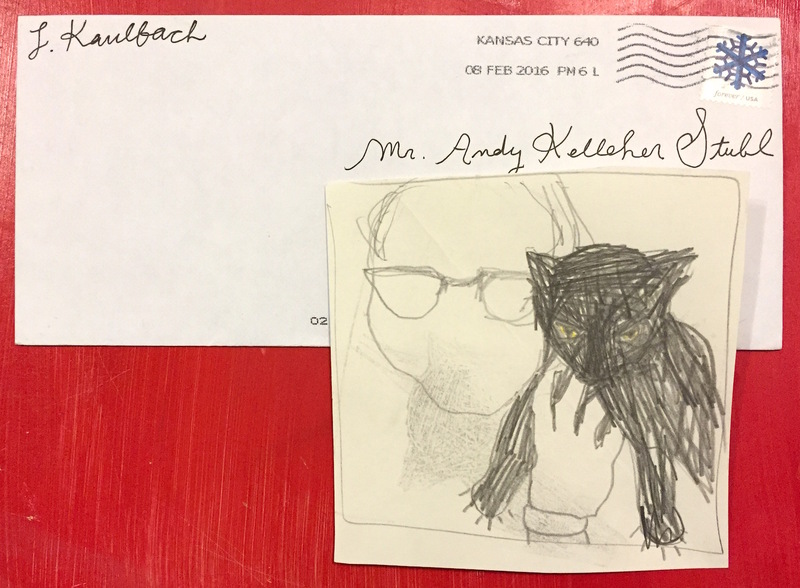 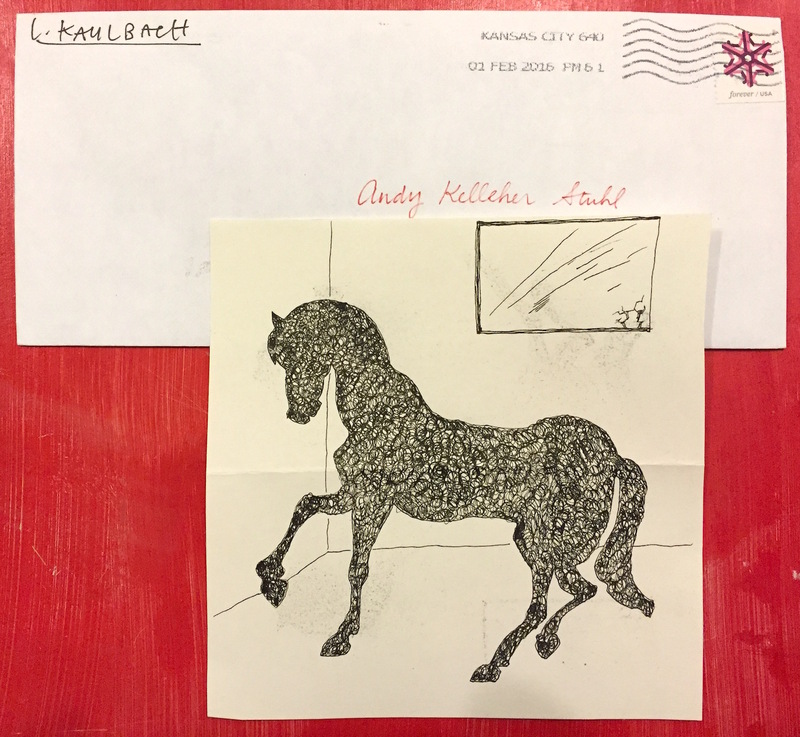 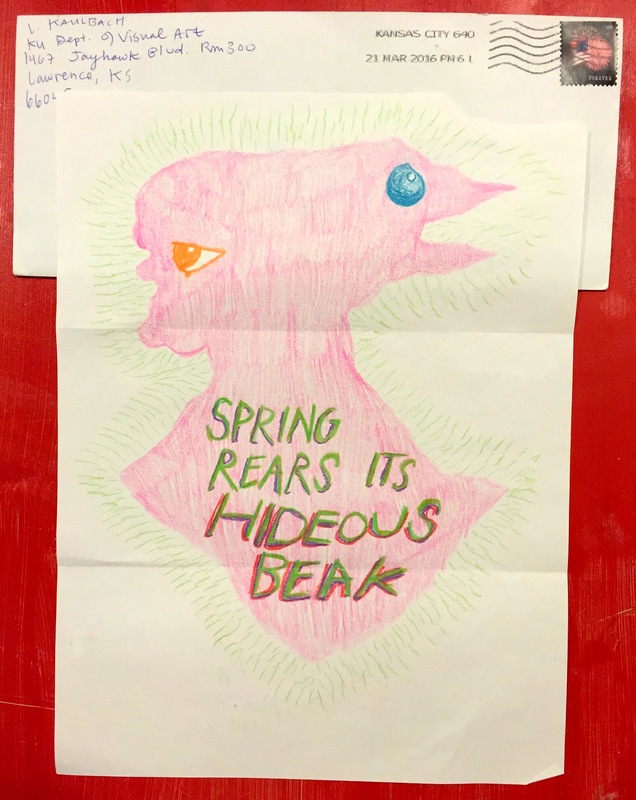 Working from Lawrence, KS, Leigh creates text and images on paper and sends them by USPS mail to Andy in Cambridge, MA. 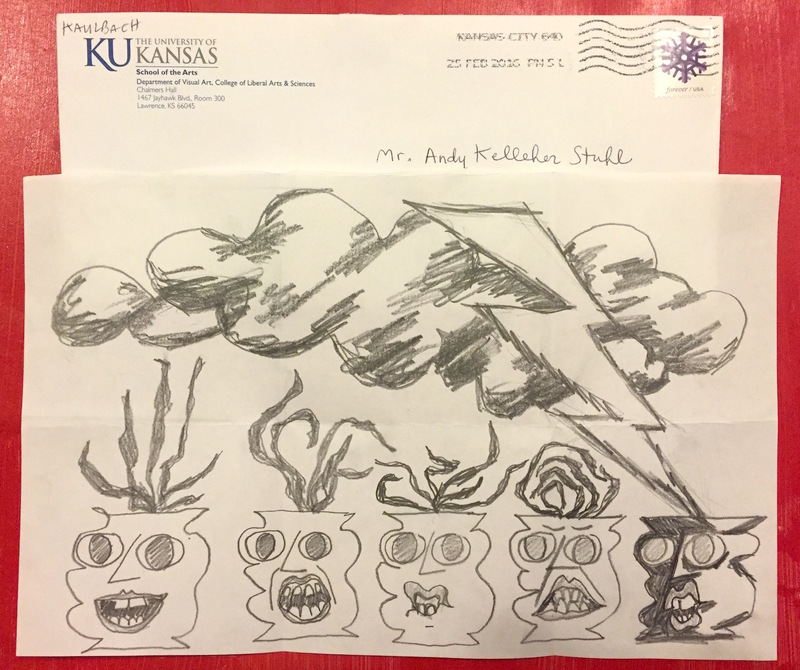 Andy designs sounds prompted by Leigh’s communications and sends them to Leigh electronically, posting each sound here alongside a photo of the mail received that day. 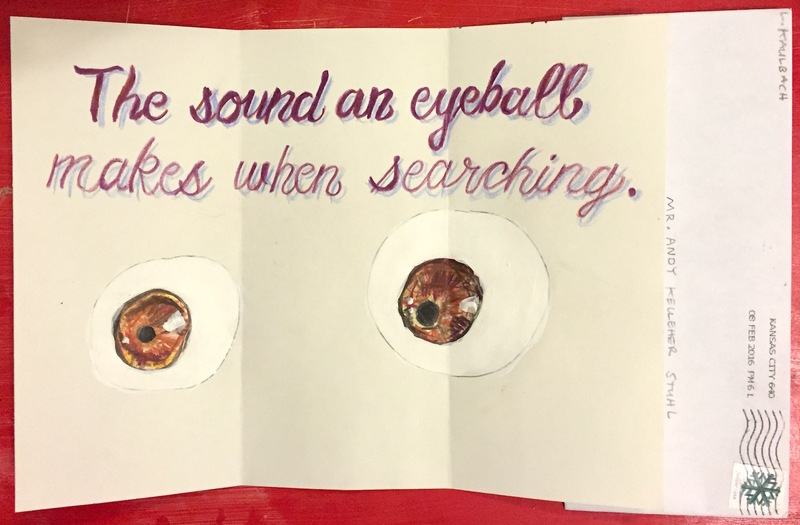 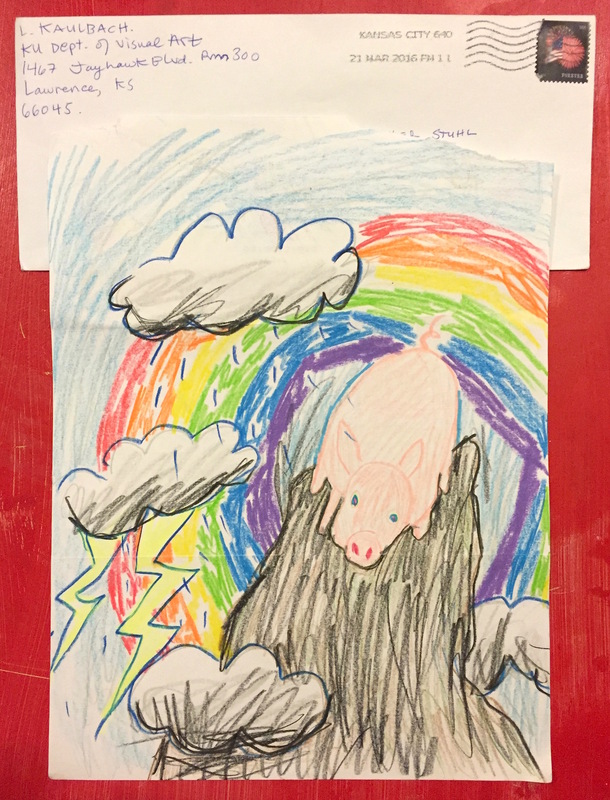 On receiving a sound, Leigh creates her next piece as a visual evocation of that sound, and so on.